Woodburn's public arts and murals committee received approval from the city's Urban Renewal Agency last week to move forward with a new art installation in the city square. The proposed piece would be a bronze statue next to the fountain in the Downtown Plaza. 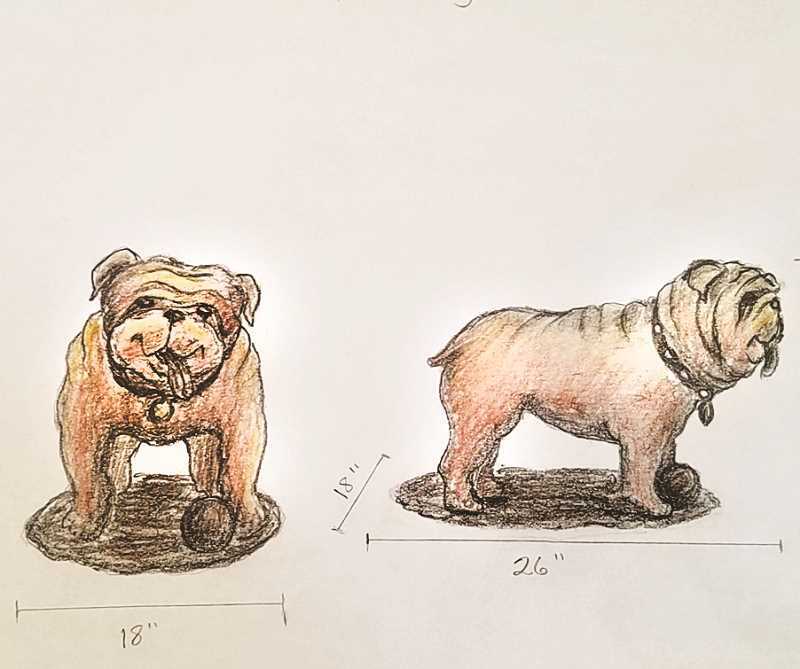 The statue would depict a little girl and boy holding hands like the childhood game London Bridge, accompanied by a bulldog, as a nod to the high school mascot. Economic Development Director Jamie Johnk said that staff from the development department came up with the idea based on a set of bronze statues in West Linn, the Youth Music Project, which depicts children playing various musical instruments. The artist who created the West Linn project, Mary Kirby, has been commissioned to sculpt Woodburn's statues. "We are fortunate to be working with her," Johnk said. The estimated price of the project is between $59,500 and $61,500, including bronzing of the statues and installation by the city. The project will take until June 30, 2019 at the earliest to complete, as sculpting and bronzing are lengthy processes, taking up to five months for each. The arts committee also hopes to install a peace pole near City Hall. The pole is a symbolic monument installed in cities around the world, and serves as a representation of the city's dedication to peace. This will be made of wood, possibly black maple, and bear the phrase, "May peace prevail on Earth" in four languages: English, Spanish, Russian and Somali. The pole will be surrounded by benches and foliage to provide a contemplation space. The committee will hold a public hearing for feedback on both art projects at its next meeting on Aug. 22. After that, it will bring the project back to the City Council for a final hearing and approval. The URA has about $100,000 budgeted for public art projects. 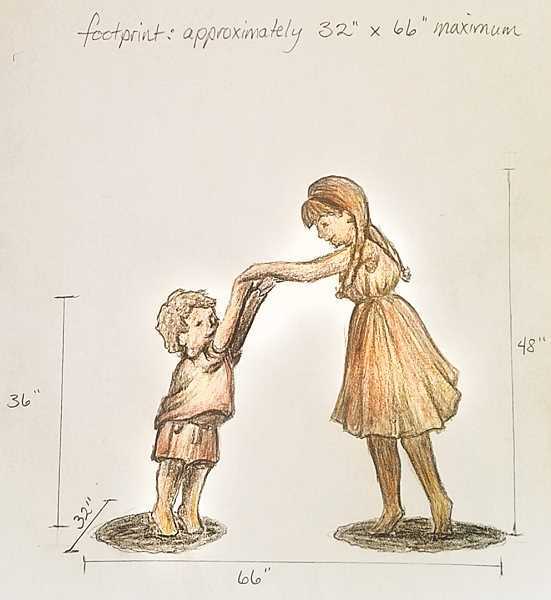 The committee has already made slight changes to its plan for the statue, which are depicted in a rough sketch by the artist. The final piece will have changes made to the statue of the little girl so that she will appear younger.